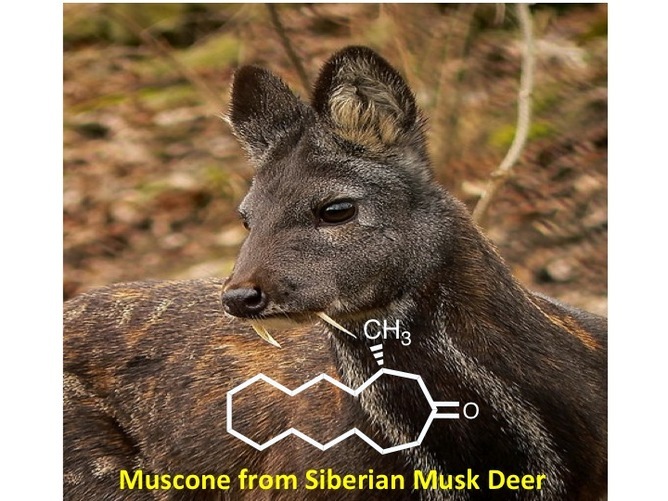 Chemical structure of muscone, the fragrant musk originally isolated from the Siberian musk deer. 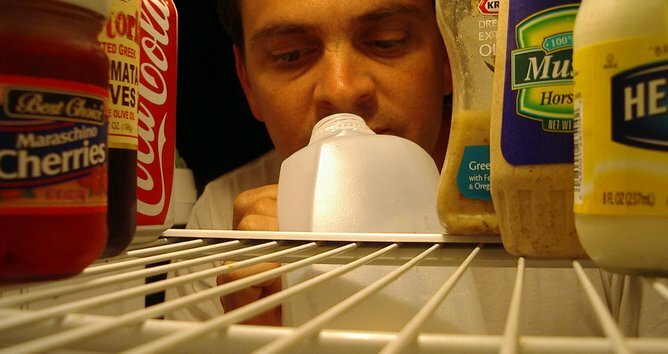 In the deuterated isotopomer, all 30 hydrogens are replaced by deuterium. 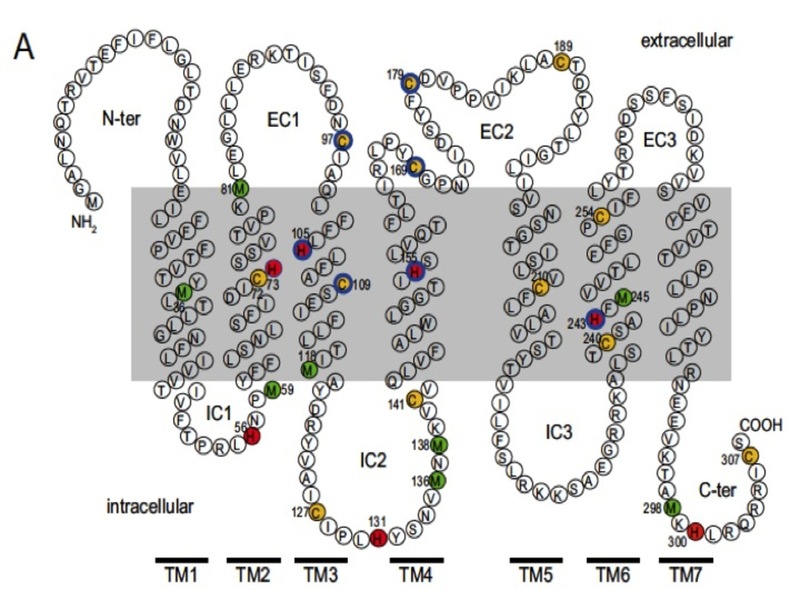 A serpentine model of an olfactory receptor. Each of the 307 circles represents an amino acid, identified by its one-letter code. 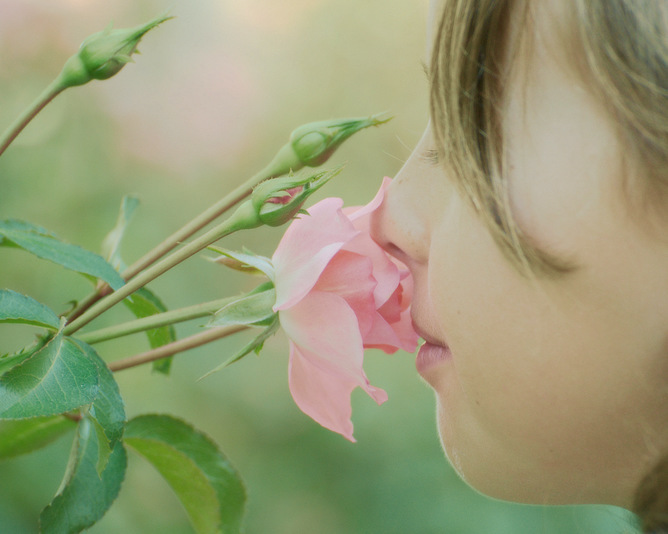 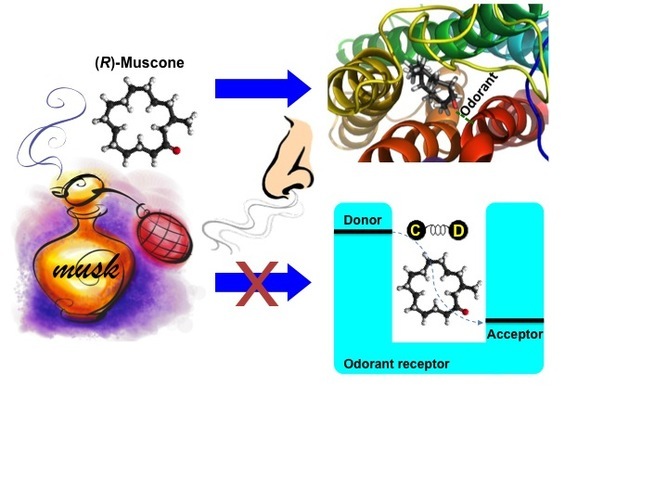 Odor-sensing, shown here with musk essence R-muscone, involves odorant–receptor interactions, not molecular vibrations. Eric Block is Carla Rizzo Delray Distinguished Professor of Chemistry at University at Albany, State University of New York.